In case you've been living under a rock, rose gold has been all of the rage lately! It's a lovely light pinkish hue of gold that started as a trend decades ago, fell off for a bit, and now it's back and even trendier than ever. If you're like me, most of your jewelry consists of this metal now, and you're always seeking out the next rose-gold colored object (Rose Gold iphone 6, anyone? I even made sure to get a clear case to show off this lovely hue)! 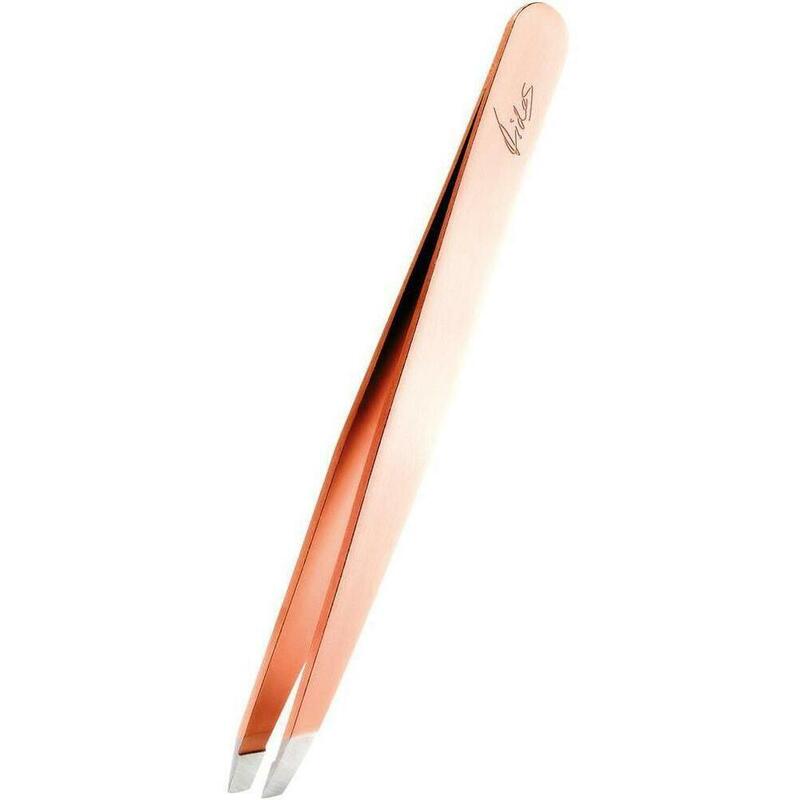 If you're looking for rose gold tools to incorporate into your business, how amazing is our new Rubis Rose Gold Slant Tweezer? It's designed with the highest precision to create perfect tip-to-tip alignment for removing every unwanted hair. This all-purpose tweezer is perfect for shaping eyebrows and removing facial and body hair. It even includes soft black velvet pouch to protect your investment. It's also perfect for retailing to your rose gold obsessed clients!